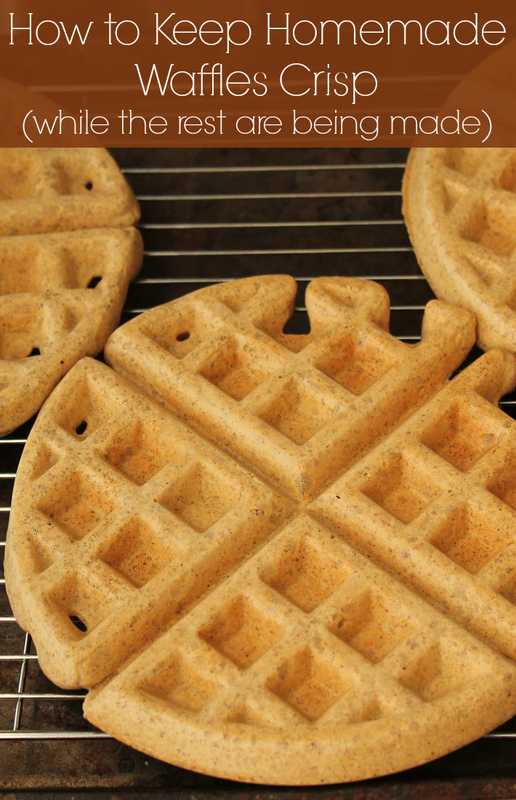 You’ve decided to get up extra early to make a batch of your special waffles for your family and while you are making them, the finished waffles are sitting there. Sitting there getting cold. And soggy. Your goal is a nice family breakfast, so ideally, you want everyone to enjoy their breakfast together. And no one like a cold, soggy waffle. Waffles should be crisp on the outside and soft and fluffy on the inside. But how to do you keep them that way while you are finishing up the rest of the batch? 1. Set your oven to warm. If you don’t have a warm setting, set it to 200°F. 2. Place a cooling rack on top of a cookie sheet and put it into the oven. By placing the rack on top of the sheet rather than placing the waffles directly on the sheet, you are allowing the hot air to circulate right around the waffle to keep it crisp. 3. As each waffle finishes, place it on the rack. 4. 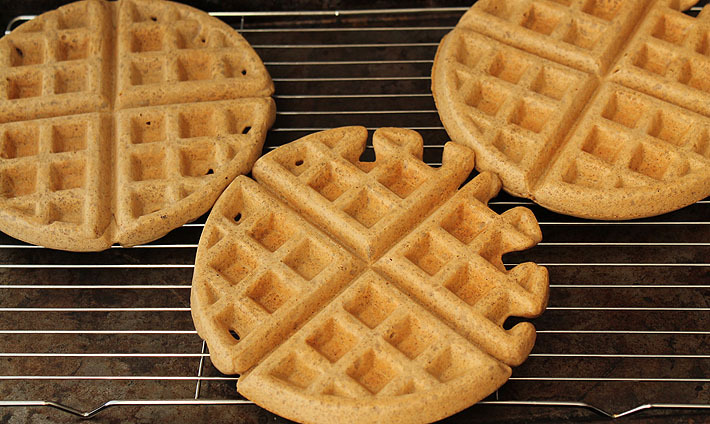 Serve all waffles at the same time when done and enjoy your family breakfast together! Want to test this tip out to see how well it works? Try it when making any of my waffle recipes! How long do you think they can be left in the oven? I have to stop cooking around 12pm to go to a venue to set up and the party does not start until 2pm. Do you think the waffles will be okay for two hours in the oven like that? Great tip. Thanks for sharing it!